Panic Stations – Episode 5 is OUT NOW! Episode FIVE – Everybody Loves a Ginger! In Between witty banter and interesting chat you can hear some of the best music from some the best independent and/or unsigned bands locally. So After No Guest was arranged by Andy, The Two sit down and attempt to fill time with their unique take on the local Music scene and life in general. Also with Halloween on the Horizon, Adam has some fun with the effects button. Special mention goes out to Comedian Ellie Taylor ( @ElliejaneTaylor ) who has become Adam’s newest idol! 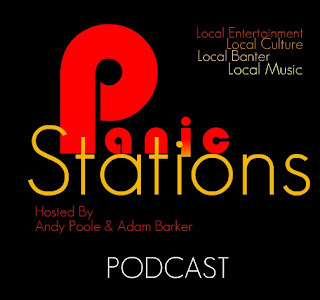 Panic Stations – Episode 5 – NO GUEST! So everybody loves gingers!